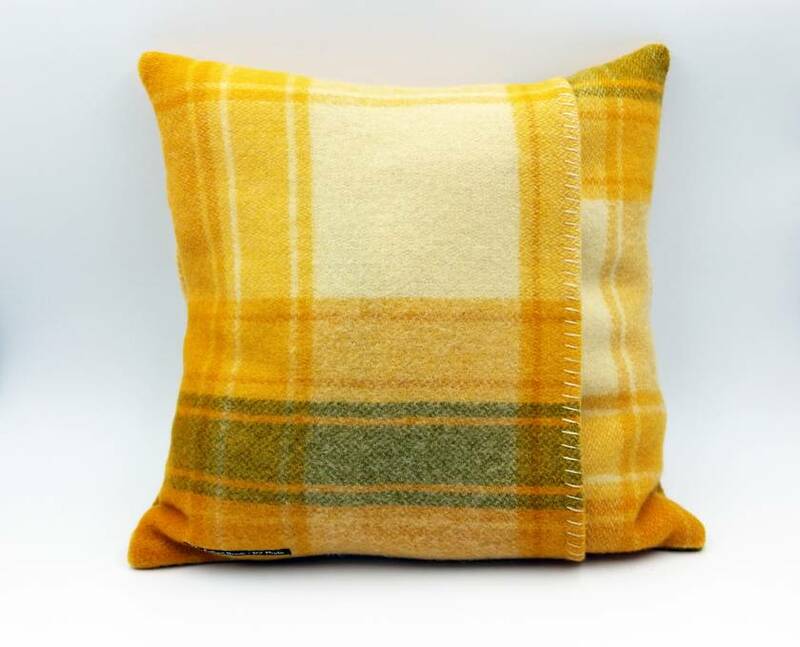 Gorgeous gold striped nz wool cushion, just so soft and snuggly, this will certainly add character to any room. Also making a great gift. Materials: gold, cream and green striped vintage wool blanket wi little dog made from recycled plastic bottle fibre. Cushion has an envelope opening and comes complete with insert. 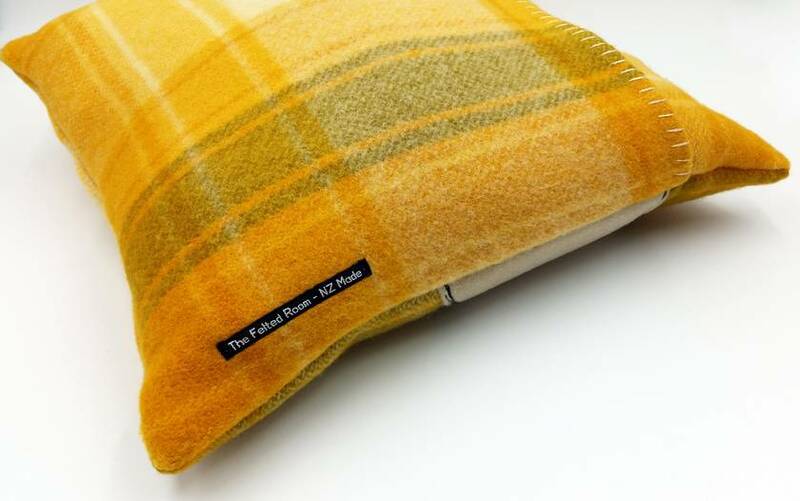 Designed and handmade by The Felted Room, Wanganui, New Zealand. 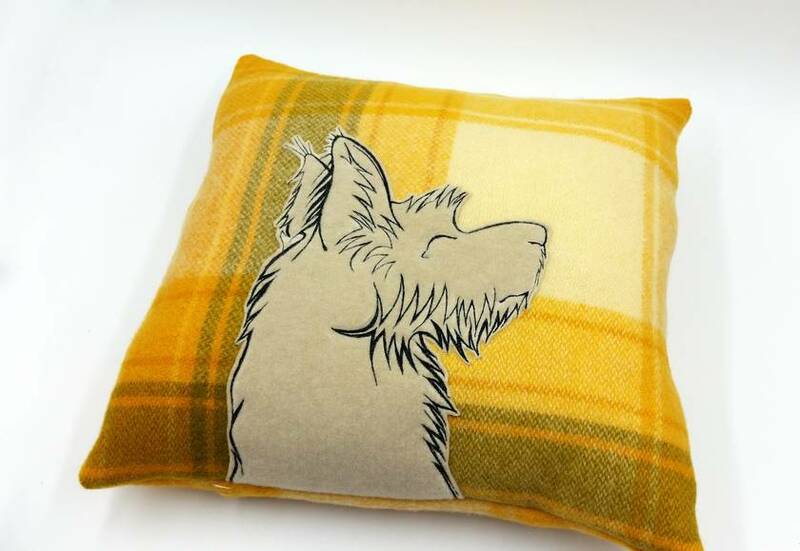 Please see my shop for more items. 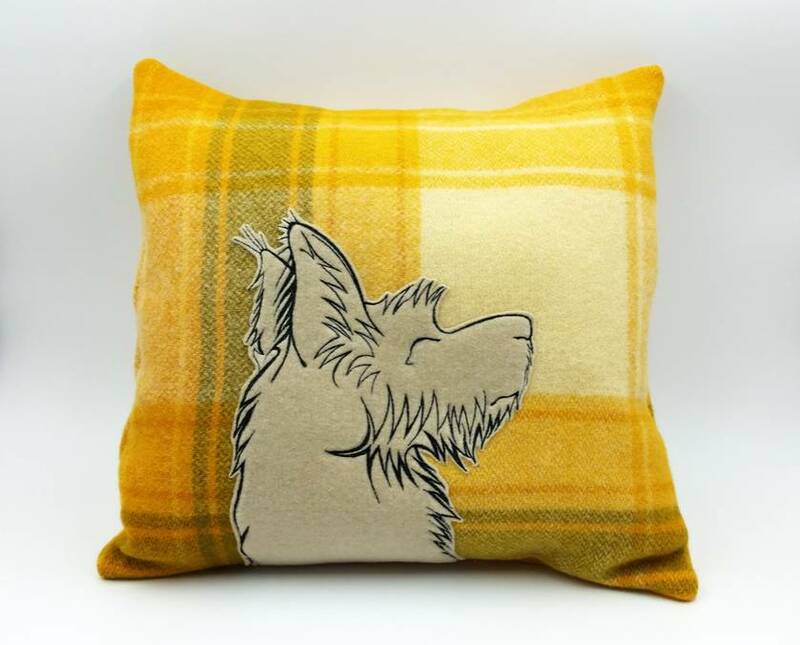 Contact feltedroom to enquire about payment or shipping options. Surround yourself with beautiful things!